Nokia 2 Leaks on the Internet, Like What? INDUSTRY.co.id - San Francisco - HMD Global is reportedly preparing to launch Nokia 2 which is claimed to be the cheapest Android-based Nokia smartphone model. 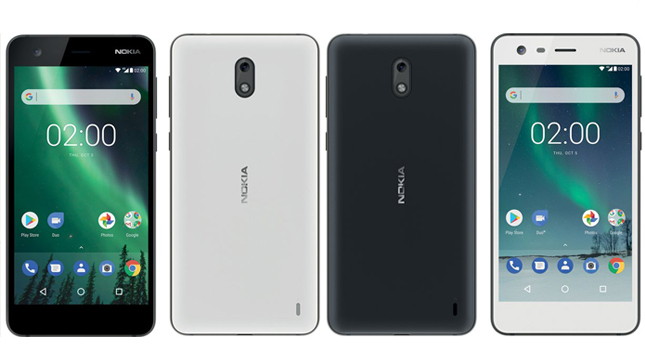 If the previous leaked mention that Nokia 2 will be embedded 4000mAh battery, then the latest leak revealed the look of this handset. Evan Blass, who is a figure who often gives leaked latest devices, upload images that allegedly appearance of Nokia 2 in black and white versions via his personal Twitter account @evleaks. Based on the leaked images, Nokia 2 will use the digital navigation buttons, no fingerprint scanner on the low-end smartphone. Nokia 2 called will come with 4.7 to 5 inch touch screen HD 720 pixel resolution, and equipped with 8MP rear camera and 5MP front camera. This handset reportedly will be powered Snapdragon chipset 212 or Snapdragon 210, 1GB RAM, and 8GB of internal storage capacity.